I challenge you to Suspend All Your Previous Judgements. Fully Immerse Yourself with the Locals. Eat their Food, Drink their Drinks and try to Experience Life as they do. The best places to stay when visiting Cuba is in “Casa Particulars” which are people’s homes. Essentially, it’s like Airbnb except the owner lives in the same home, apartment, floor or building. 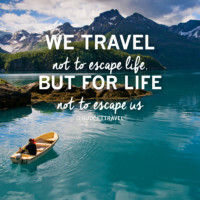 This guarantees the traveler with a full cultural immersion, with meal options to enjoy home-cooked meals that will more than likely be tastier and less expensive than restaurant food! Some people travel to getaway to secluded resorts to unwind, that is understandable. 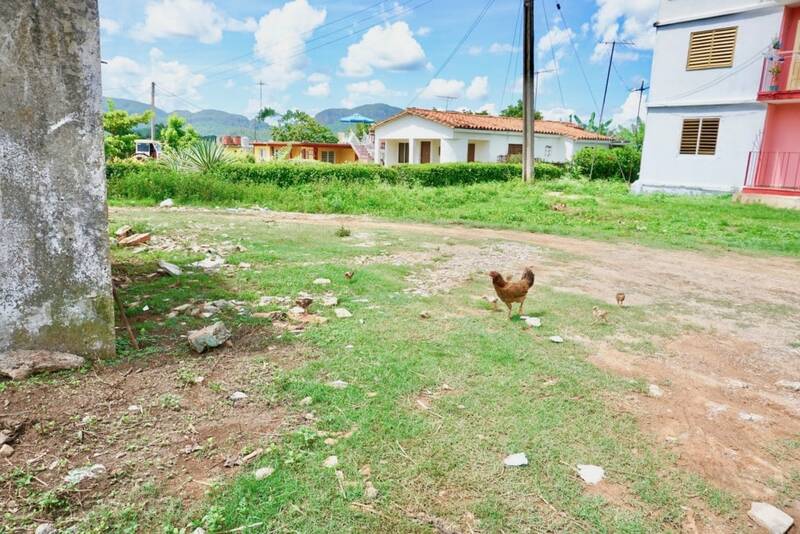 Viñales is a rural, agricultural town on the Western tip of Cuba. Just a 2 hour drive from Havana with charming colonial-era wooden houses lining the streets and nature at it’s best. This is the ultimate destination to relax in the countryside. 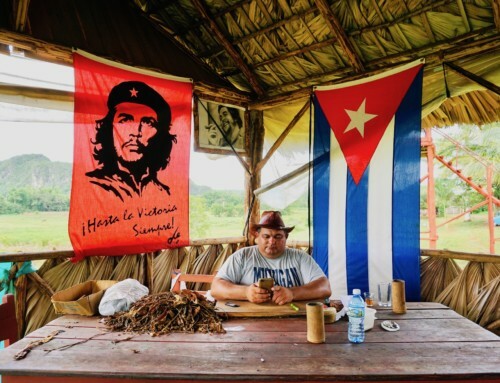 In this adorable town are mountains and hills, tobacco farm tours to learn the process of how cigars are made, caves to explore, art, horseback riding through the lush valleys, waterfall hikes and more. My sister had visited a few months prior and highly recommended Pupi’s Casa Particular to stay. They created such a special bond that when I showed up with my 5 friends, it was as if Pupi and us had known each other for a lifetime as well. We called her our long lost Grandma. This warm, sweet lady was born and raised on the same street over 70 years ago and runs this successful Bed & Breakfast for travelers passing through. 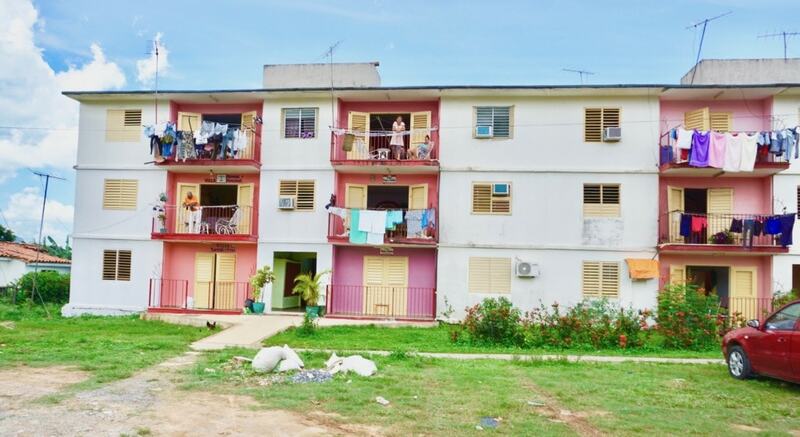 She now lives on the 2nd floor of this cozy 2-bedroom apartment with her husband Emilio. Her other room is rented out with a twin & a full size bed + a full bathroom. Since we needed more rooms, she rented us her brother’s 2 bedroom unit downstairs (each room also with 2 beds). Our room was equipped with a small refrigerator with water, beers and sodas at a tiny cost. 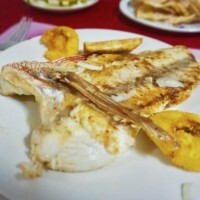 Many people comment on the lack of flavors in Cuban Cuisine, but you won’t be disappointed in Pupi’s kitchen. She’s an excellent chef who pours her heart & soul into her cooking. A hearty spread of breakfast is included each morning with eggs, ham, assorted fruit medley, fresh juice, cheese, bread, jam, coffee and tea. 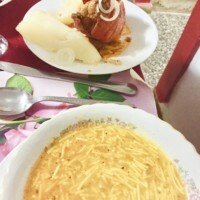 Pupi also offers a delicious dinner option that I highly recommend. 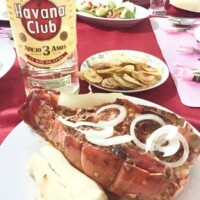 We opted for this option both nights and it was our best meals in Cuba. 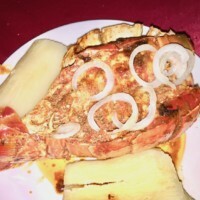 The dinners are around $10-12 depending if you order the fresh Fish, Lobster or Chicken as main entrée. 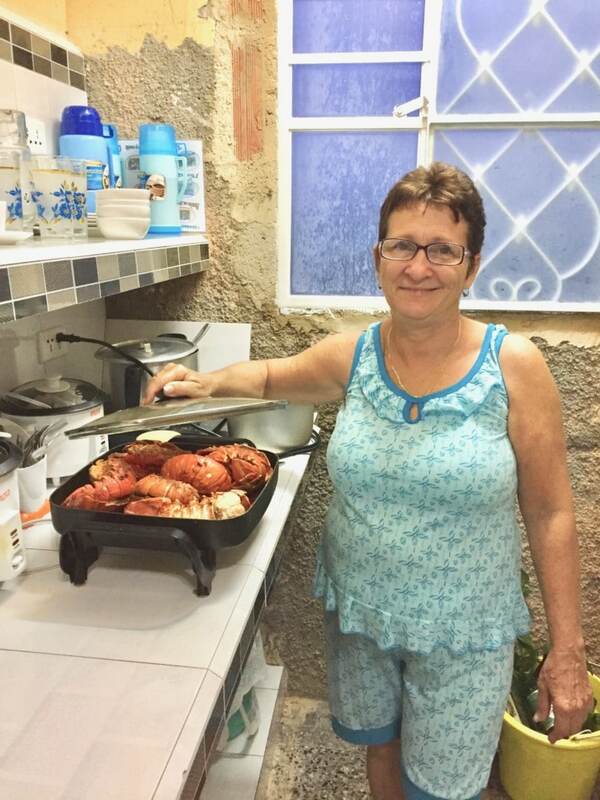 And even if you don’t stay at Pupi’s, or her place is booked, you can still reserve a dinner with her! 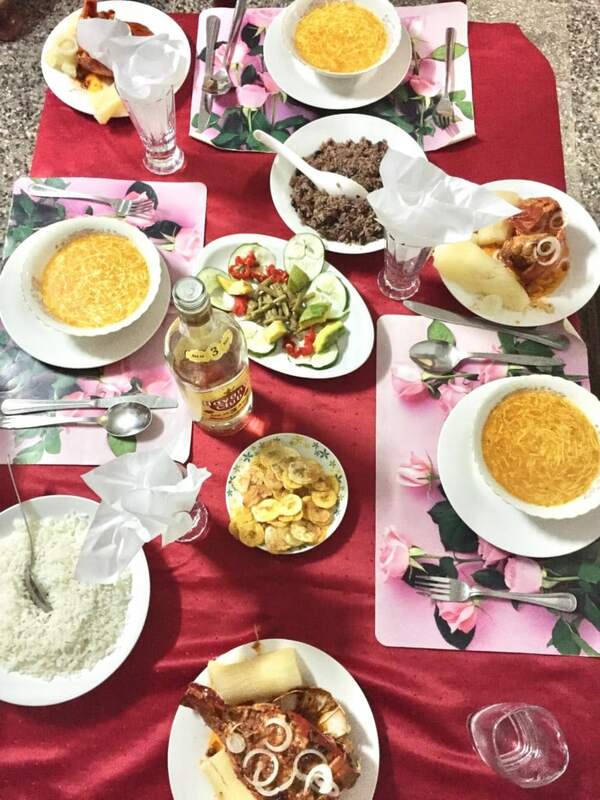 Pupi’s living room transforms into a family restaurant at night for her guests to serve up some hearty Cuban cooking. 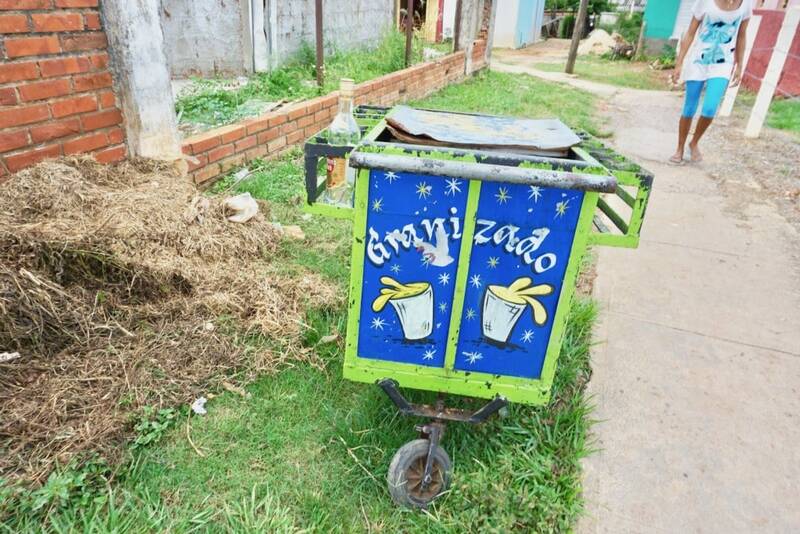 There is no denying the dire poverty that still exists in Cuba today. The average salary is $20-$25 USD a month. Even if one is employed by a foreign company, the government takes over 80% of their wages. They do however, have an excellent universal Health Care System which has proven to raise a country’s Happiness Level. 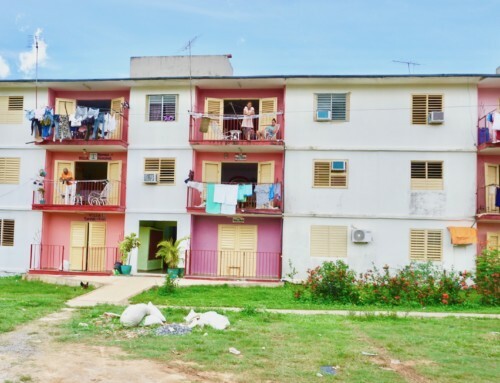 While some will say that living conditions became better after Fidel’s communist rule 50 years ago (leveling out the disparity between the rich and the poor), other’s argue otherwise. There is still mass corruption that exists in the Cuban government as well as lack of resources the people and country have access to. Many Cubans are happy that the embargo was lifted from the US, bringing in a lot more trade, tourism and dollars being spent to the people. What the near future holds between US and Cuba relations though is unknown under our current crap administration. One perspective we collectively noticed was how the Cuban people genuinely seem happy with a huge sense of gratitude of what they do have. Having a loving family is worth more than material possessions. 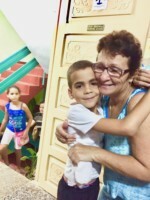 The tight-knit family network and support system within the neighboring community is a factor the Cuban people and many Latin American countries take pride in. The emphasis on family values and interpersonal relationships is key to happiness as many researches have shown. 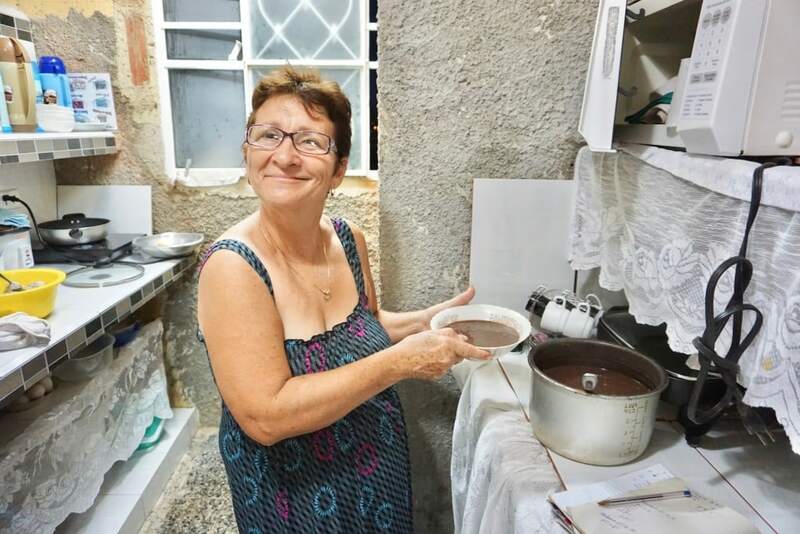 Pupi’s children, grandchildren, neighbors pay her daily visits with big hugs while they exchange food, meet her guests and share gossip. It is cliché to say but it does seem that I have met far more happier, fulfilled people in poorer areas of the world than wealthier places with less family & friends network. 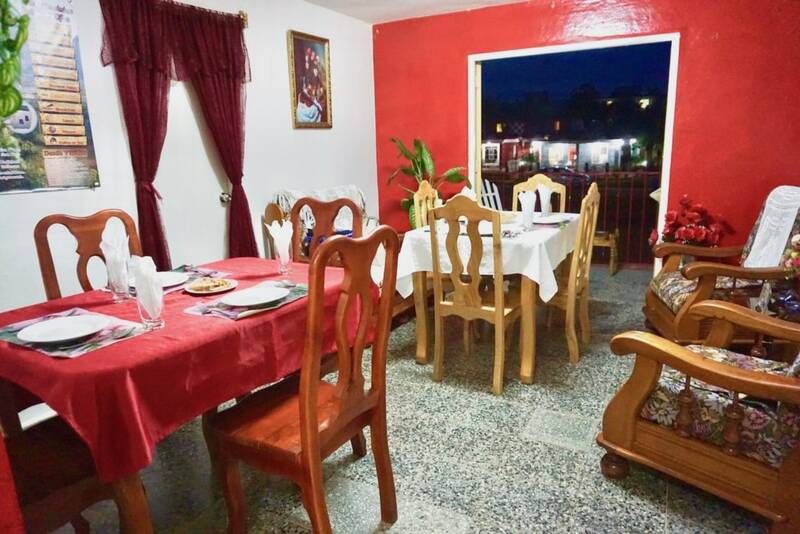 The location is perfect, just a short 8 minute walk to the main town with restaurants, bars, bank, markets and popular outdoor salsa club Polo Montanez. If you have clothes, electronics, toys to donate, pack them in a carry on as many people truly need and appreciate it. We brought 3 bags of clothes for Pupi and she was very grateful to hand them off to her relatives. Pupi speaks only Spanish so use Google Translate if needed. 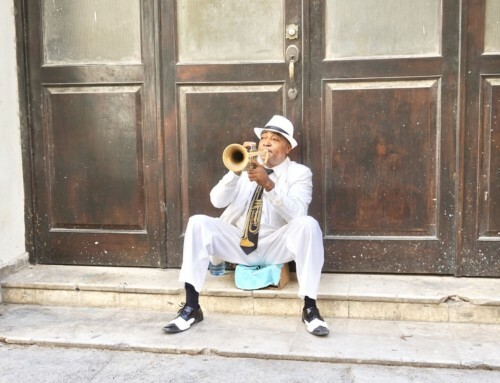 Get away from the city life in Havana and enjoy fresh, local cigars. Enjoy the natural beauty that is Viñales!